My native language was not written down. We only spoke it. I never read it. There were no schools in my village. I did not learn the alphabet until I was twenty-eight years old. 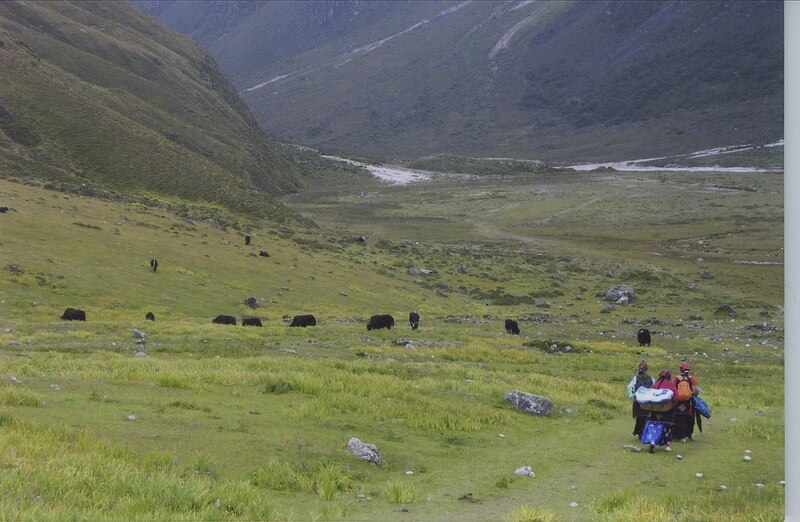 Langtang, the village where I was born and raised is in Nepal at 12,600 feet. 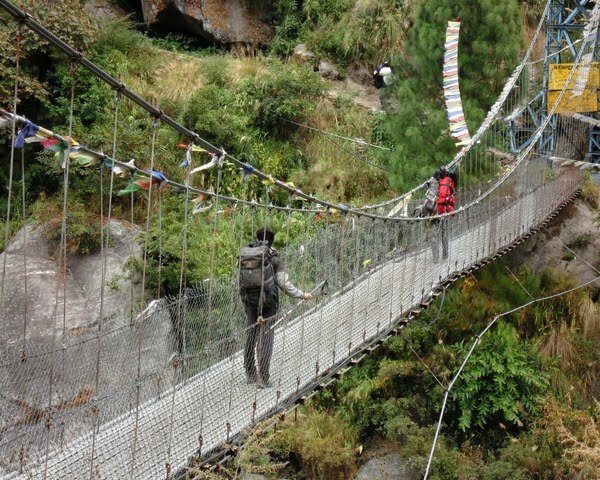 It was two days by foot from Kathmandu or one day by bus. 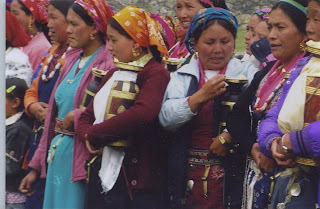 There are nine families in the village. Our houses are made of stone. My father, Dorje, herded yaks. 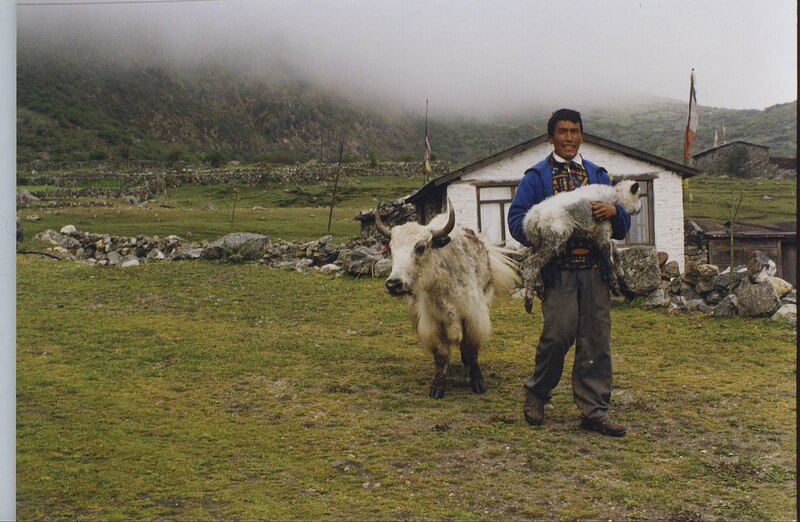 Yaks are valuable because of their milk, fur, and meat. My father sold milk to the government dairy where it was made into cheese. Yak cheese has more taste than cheese from cows. My mother, Tsiring, spun the yak wool into yarn by hand, spinning it with her fingers. Then my aunt wove the yarn by hand on a loom, and my uncle made our clothes, rugs, and blankets from the cloth woven by my aunt. 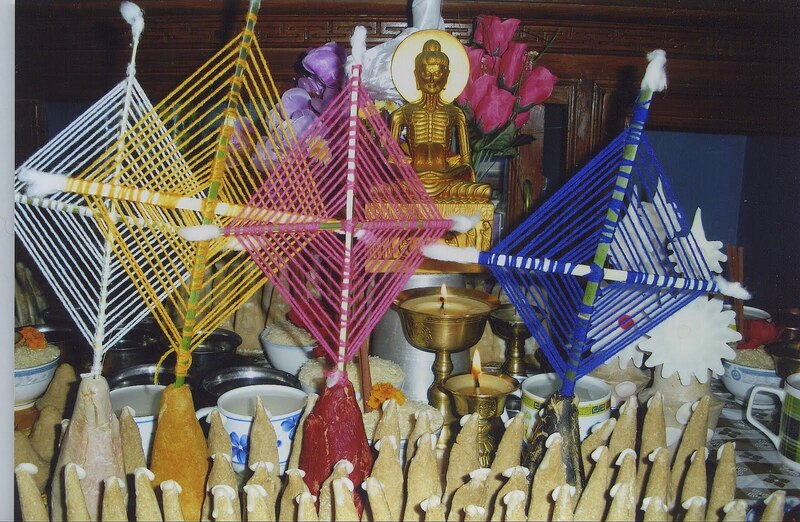 My mother and father were Tibetan but were born in Nepal. 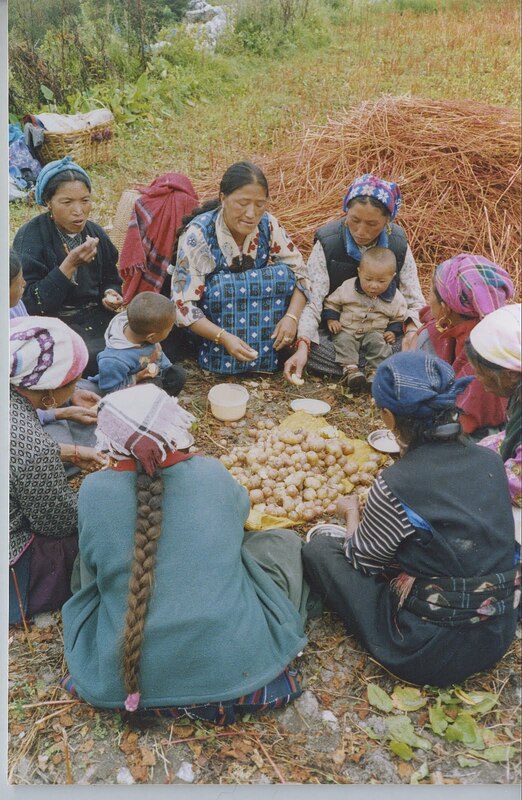 Their grandparents left Tibet during the revolution when China took over Tibet. Since we are Buddhists, we don’t kill animals for food. We would only eat meat after the animal had died. We did not eat meat often, and when we did, we would share with all the nine families in the village. Sometimes, snow leopards would kill the sheep and yaks. We also grew vegetables: broccoli, spinach, peas, potatoes, beans, and cabbage. We also ate wild vegetables, like mustard and something that looked like dandelions. Our grains were barley and buckwheat. Our soil was very rich and dark and our climate rainy. the family was to herd the sheep. I looked around to see what was bothering the sheep. I saw a baby yak that was killed by a snow leopard. It was a fresh kill. We all saw the leopard. It was moving very slowly. It was beautiful with gold and white fur with black spots. My friends and I yelled to scare away the snow leopard and then herded the sheep back home. I told a neighbor, and he went out and got the dead baby yak. 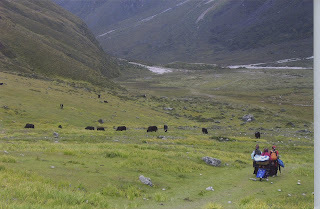 We shared the yak meat and chopped up the meat and fried it in mustard oil. Then we used the meat in stews and egg rolls. When we eat dead yak, we chop up the head after we have burned off the hair, and then we either cook it outside in a bonfire or boil it in a pot inside the house. Then we throw out the bones and brains and eat the meat. We never ate big chunks of meat. We thought they were disgusting. We cook the hooves in with the head. My father picked out the bones and threw them away. He kept the meat and saved the soup in another bowl in a cool place over night. Late the next morning we ate the soupy gelatin. It had a meaty flavor. About a three hour walk from our village was a monastery for Buddhist lamas and ten hotels for tourists. 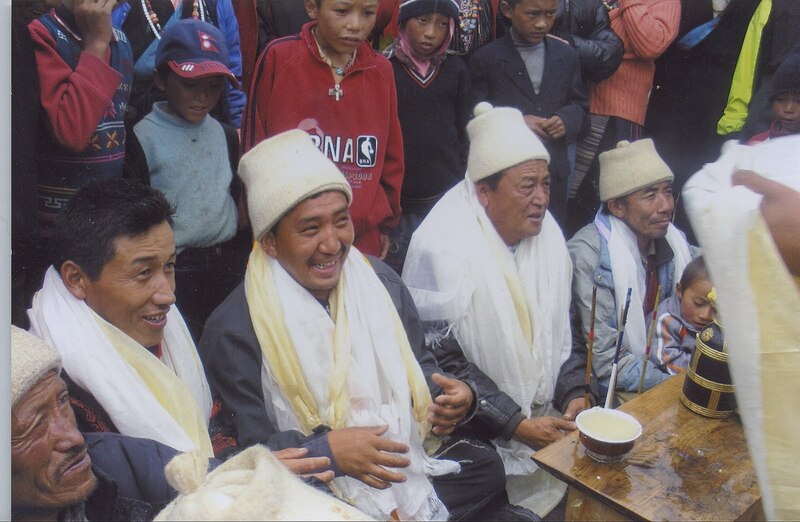 With the other villages in the countryside, we celebrated festivals with singing and dancing along with the lamas. When I was fifteen, I wanted money for food. We did not grow things like corn, oil, and rice. I also wanted to buy clothes and shoes at a town about two days away by foot. It was called Dunche. I would stay at a tea shop made of bamboo and sleep on the floor. I also became a porter for tourists for a dollar a day. I worked for some city guys down in Kathmandu. I had to buy my own food of rice and flour. I carried sixty pound packs for climbing expeditions into the mountains for climbers at a base camp. I met my husband, Wayne Gramzinski, in Nepal and came to America. I am learning to write at the Literacy Center. Chheten Tamang is tutored at The Literacy Center in Flagstaff by Lori Crowe and Dana Prom Smith. So beautiful to listen to these words, I'm so pleased to have been able to ! What an honor to have you living amongst us..THANK YOU ! What an honor to have heard these beautiful words, we are so lucky to have you living amongst us !! Such a lovely heartfelt story, thankyou for sharing it. This young woman is a true inspiration. 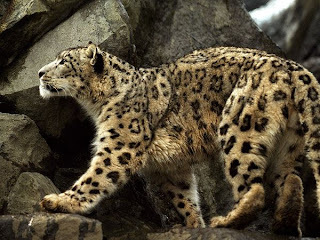 Publisher "Saving Snow Leopards Blog"